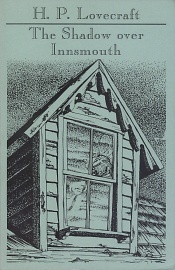 H. P. Lovecraft never achieved a greater atmosphere of insidious decay than in "The Shadow over Innsmouth": one can almost smell the overwhelming stench of fish, see the physical anomalies of the inhabitants, and perceive the century-long dilapidation of an entire town in the story's evocative prose. And once again he has produced a narrative that progresses from first word to last without a false note to a cataclysmic conclusion--a conclusion that simultaneously focuses on the pitiable fate of a single human being and hints tantalisingly of the future destruction of the entire race. For the very first time, this classic Lovecraft story is being presented in a critical edition, edited by S. T. Joshi and David E. Schultz, and featuring extensive footnotes, an exhaustive introduction, textual notes, as well as Lovecraft's original notes and discarded draft to "The Shadow over Innsmouth". Rounding out this special edition are Jason Eckhardt's fantastic illustrations, created specifically for this publication.